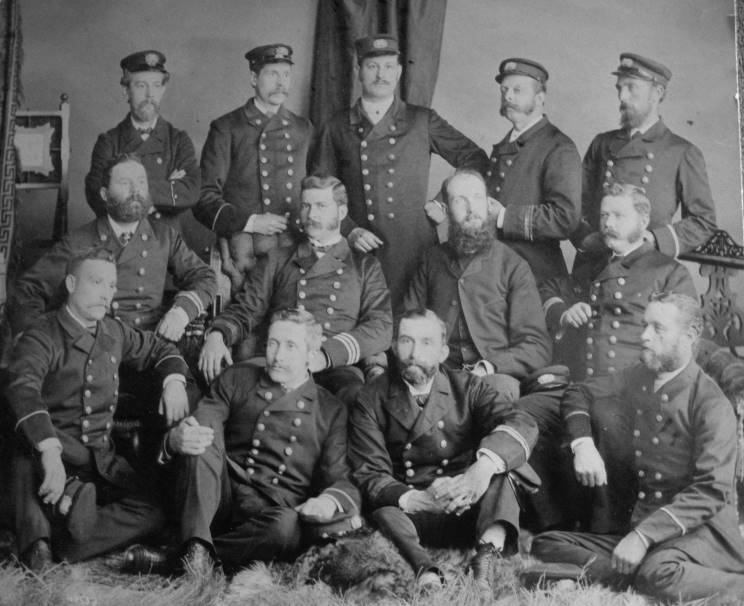 Officers of the MacKay-Bennett seen at Halifax, Nova Scotia, Canada in 1884. 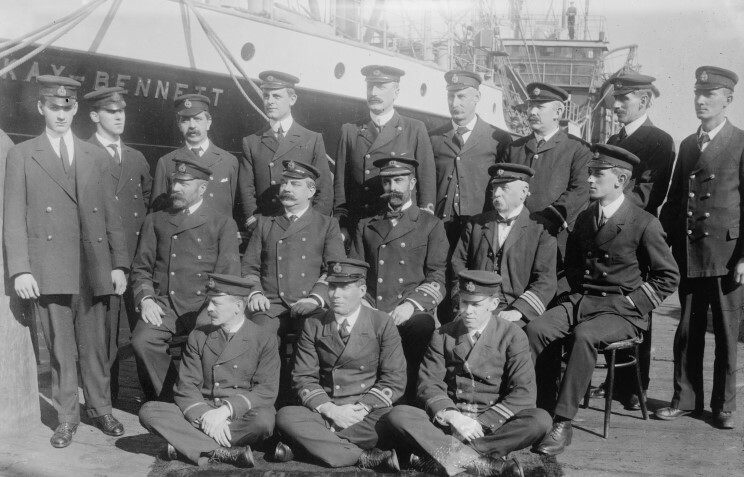 The ship's first captain, William Robert Lugar is seen middle row, second from left. The cable ship MacKay-Bennett, Captain Frederick H. Larnder (seated middle row third from left), Chief Engineer Henry Abner Cordes (middle row 2nd from left), 2nd Officer Frederick N. Malcolm (middle row first on left), and some of the crew which recovered 306 bodies from the Atlantic following the sinking of the Titanic in April 1912.